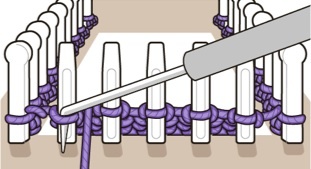 Need a refresher on a loom knitting stitch or technique? Select a stitch to get a step by step review with lots of photos. 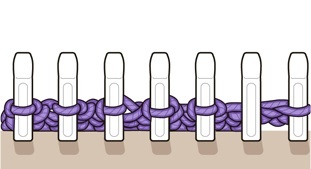 Single knitting is the process of working adjacent pegs to create a single layer in either flat panels or circular projects. Many different stitch patterns and shapings can be acheived. 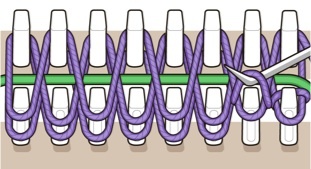 Double knitting on a loom creates a 2-sided fabric in which 2 rows of pegs are used with the weaving working across both rows. This creates finished knit on both sides which is perfect for multi color designs. Socks are knit in circular single knit in various designs, and yarn weights. They can be knit from cuff to toe, or from toe up. Several weights of sock yarn are available to excite the avid sock knitter. 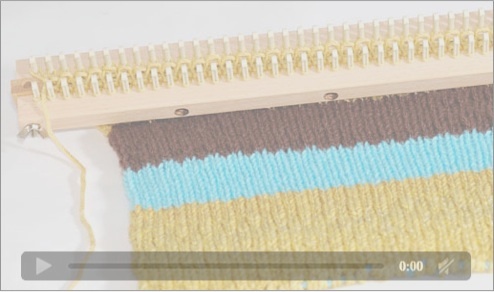 Check out our video section for informative loom knit how-tos on single, double and sock loom knitting techniques. It’s a great way to learn and watch at your own pace!